Don't let the appearance of the outside self parking scare you the hotel and casino was clean and safe. After self parking we are looking for the hotel desk and got different directions from three different employees, walking around the casino with my luggage was not how I wanted to start my stay but after I found the desk it was smooth sailing from there. (Would have been nice for employee to show us to desk or better signage) Liked the "vintage" ambiance the hotel offers. I liked the overall design. Room could have been cleaner, mostly dusty fixtures and carpeting. My favorite place to visit in Las Vegas. I always stay here. The first room that I was given had not been clean from the previous person that stayed in the room. The location of the hotel is ok! The parking was very confusing at the beginning. I was given a nice room, unfortunately it wasn't clean enough, in a detailed way. the housekeepers should spend more effort in cleaning the room. I could see the dust on the edge of the room and on top of the wooden furniture. 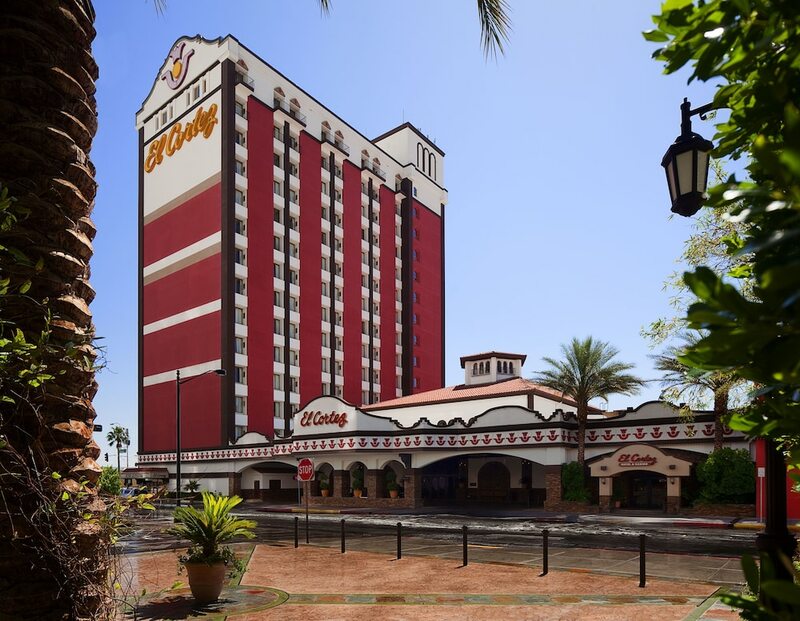 Located in Downtown Las Vegas, El Cortez Hotel and Casino is adjacent to Fremont Street Experience and within a 10-minute walk of other popular attractions like Golden Nugget Casino. This 3-star hotel has 361 guestrooms and offers a casino, a 24-hour fitness center, and free in-room WiFi. Enjoy a bite to eat at Subway, the hotel's onsite restaurant. Cooked-to-order breakfast is offered for a fee each morning from 4 AM to 1 PM. Guests can enjoy cable TV and stay connected with free WiFi. The bathroom offers hair dryers and free toiletries. Other standard amenities include a refrigerator, a coffee maker, and free local calls. Guests staying at El Cortez Hotel and Casino enjoy access to a casino, a 24-hour fitness center, and free WiFi in public areas. Free valet and self parking are available—or if you're not driving, take the free shuttle from the hotel to the airport at scheduled times. The front desk is staffed 24/7 to help with securing valuables, concierge services, and dry cleaning/laundry. Additional amenities include express check-out, an ATM, and a hair salon. Subway - Restaurant. Open daily. Siegels 1941 - Restaurant specializing in American cuisine. Open daily for breakfast, lunch, and dinner. Open 24 hours. Eureka - Restaurant. Open 24 hours. Open daily. Naked City Pizza - Cafe specializing in Italian cuisine. Open daily. Recreation features at El Cortez Hotel and Casino include a 24-hour fitness center. The front desk is open 24 hours a day, and checking out is easy with express services. For convenient departures, you can take advantage of the free airport drop-off service. Driving? This property offers free parking. Airport transportation is available at scheduled times from 7 AM to 2 PM. Fees may apply. Guests can contact the property in advance for details.